Like many other consumer horror stories that end in a corporate apology, it took the work of incensed social media users for JetBlue to publicly acknowledge that it shouldn't have given a passenger’s custom wheelchair away to the wrong person. Then they found the chair and returned it to her -- with damages that made it impossible to use. On their official corporate Twitter account, JetBlue publicly responded that she should file a claim for a repair through their “business partner,” a third-party contractor. But the contractor demanded payment from Spoonie’s health insurer for the repair, she later said online. Meanwhile, a far more common flying nightmare has gone ignored by airlines for years; customers with disabilities say that they are regularly mistreated during air travel, with one of the more common problems being airline staff that lose or break their personal wheelchairs -- leaving passengers who can’t walk completely stranded and without a medical device worth thousands of dollars. Evidence that airline staff treat wheelchairs no more delicately -- or potentially worse -- than the suitcases they are checked with has only been available anecdotally. 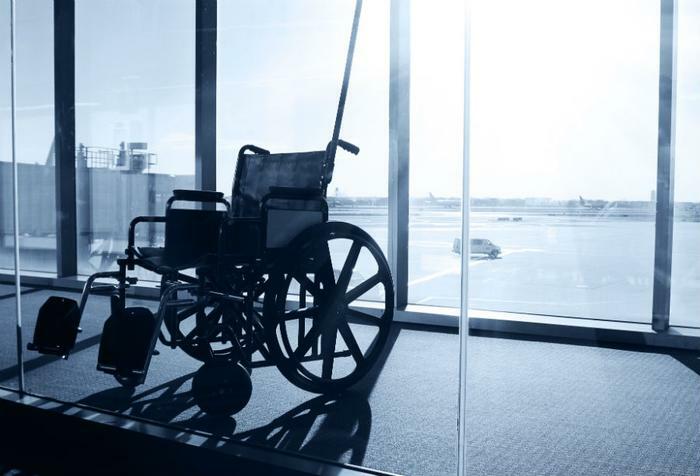 Unlike lost or mishandled luggage, wheelchair damage doesn’t come with its own reporting requirements under federal law. "On a recent trip, I retrieved my wheelchair at the end of the jet bridge, but a titanium rod had been damaged during the flight and my chair literally broke apart while I was sitting in it," Duckworth wrote last year in a letter to Department of Transportation (DOT) Secretary Elaine Chao, asking that the agency do more to monitor airlines’ treatment of disabled passengers. The following day, the DOT announced that it would delay the wheelchair rule until January 2019 -- without giving the advocacy groups and other stakeholders who had worked on the issue for five years a public hearing or chance to comment. ConsumerAffairs questioned five major airlines -- United, Delta, Southwest, American, and JetBlue -- about their plans in regards to the wheelchair rule. The press teams for all of the airlines except JetBlue said they plan to comply and publicly report wheelchair mishandling complaints by the December 4 deadline. Previously, the DOT’s fines levied on airlines have been few and far between -- and the money doesn’t always go back to the affected passengers.